Studio Chateau is a web-based options selection and management program for homebuilders, homebuyers, design centers and subcontractors. It maximizes the homebuyer’s design experience by providing a community and plan specific online catalog of available options for each home. Each catalog has complete option descriptions with color photography, pricing and model photography. 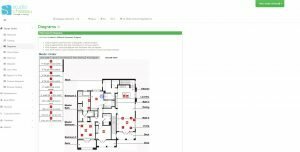 A digital placement diagram for electrical and tech options allows the buyer to place options on floorplans. Automatic emails notify buyer of upcoming cut-offs and there’s a mortgage calculator. 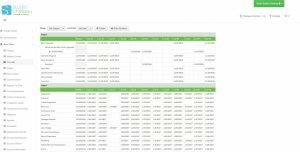 For the builder and design center, there is an order entry system that can stand alone or integrate into an existing accounting and/or CRM program. 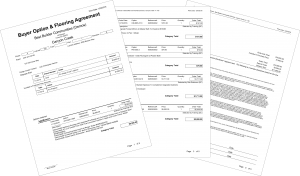 The flooring program provides estimates, invoices and diagrams for buyers. It has back office capabilities with automated ordering, paperless notifications to field personnel and subcontractors in real time. There’s vendor notification tracking to ensure subcontractors are opening and viewing orders. The system provides over 100 reports for your team to better manage the entire process. 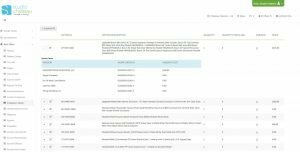 After escrow closes, there’s a customer service module for tracking and issuing work orders, including online customer service request programs plus an accounting program with AR, AP and general ledger that ties all the retail and costing together. 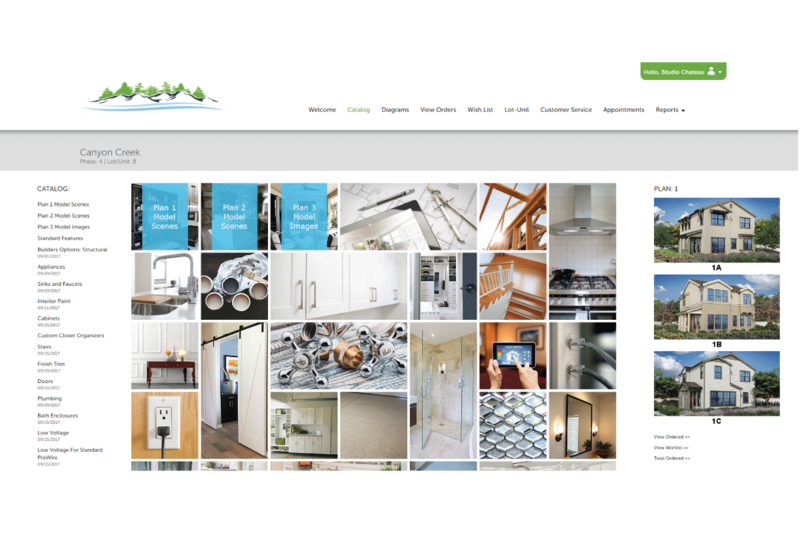 Studio Chateau is a complete online operating systems for builders and design centers. It enhances the homebuyers design experience by providing an online catalog or available options for their new home while simultaneously supplying a complete purchasing, contracting and financial operations environment for the homebuilder and design center. Studio Chateau can integrate with many accounting and CRM software programs and is a complete solution to managing options. It streamlines the design center and back office processes saving money and time, it increases option sales as homebuyers have all of the option information available to them. Many builders have been able to increase their option revenue by 25-30% just by using Studio Chateau. They review options in private, create a wish list and use the virtual room designer to see how options will look installed in their home. Studio Chateau holds the supply chain more accountable by providing real time information on when purchase orders were delivered and read by vendors. In short, Studio Chateau improves the builder’s, subcontractor’s and homebuyer’s experience by keeping everyone on the same page. The #1 reason people buy a new home is to personalize it. Studio Chateau enhances their personalization process and provides the homebuyer with all the up to date option and construction information. Homebuyers want option information. They want to know what options there are, how much they cost, what was installed in the models, can they get those options for their new home. Studio Chateau gives them what they want. As soon as they purchase a new home, a personalized letter is auto-emailed out giving the homebuyer access to the customized options catalog. Studio Chateau shows the buyer exactly which options are available to them including actual retail pricing and a mortgage calculator to give the homebuyer an idea of increase in the monthly mortgage cost if the options are added to the loan.